Travertine restoration. And then some. Taking travertine back to that sanitized fresh look has become second nature to our Nassau artists. 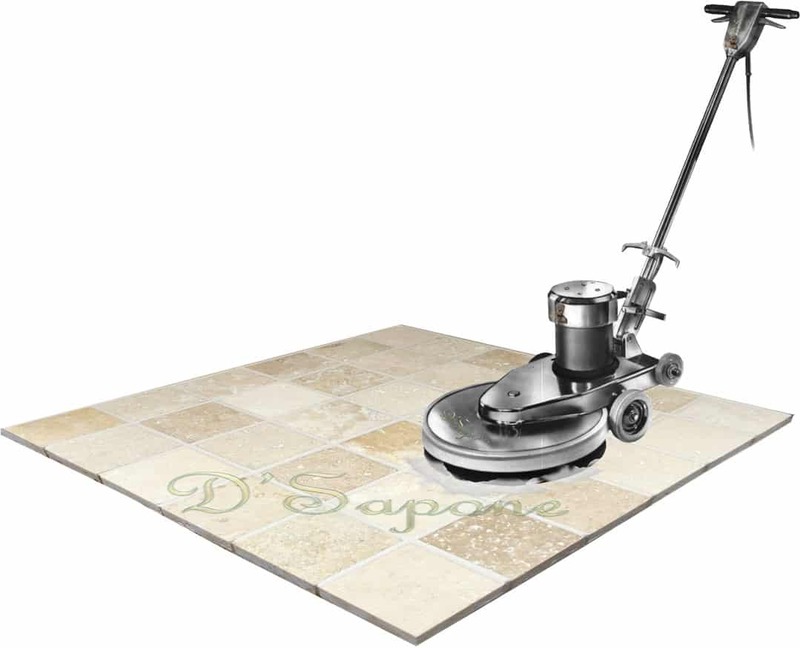 Our patented stone cleaning process not just cleans travertine, it also preps and sanitizes the surface while eliminating stains and mold at the root. 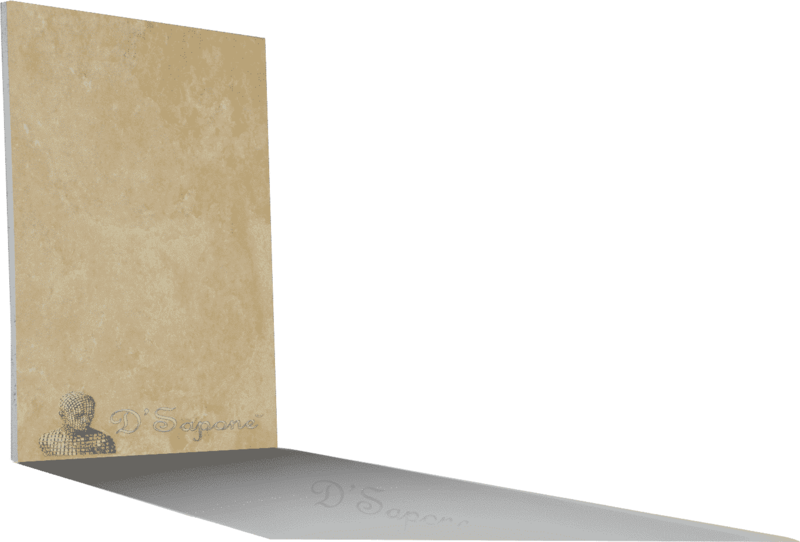 Deliver your travertine surface that elegant look with our grout color sealing process. Before we apply a sealer to the grout, we color match the product to the surface. Our experts performing travertine restoration in Nassau use Caponi® – a two part pigmented titanium resin sealer, which comes in over 40 color options. It makes the grout look brand new for a lifetime. 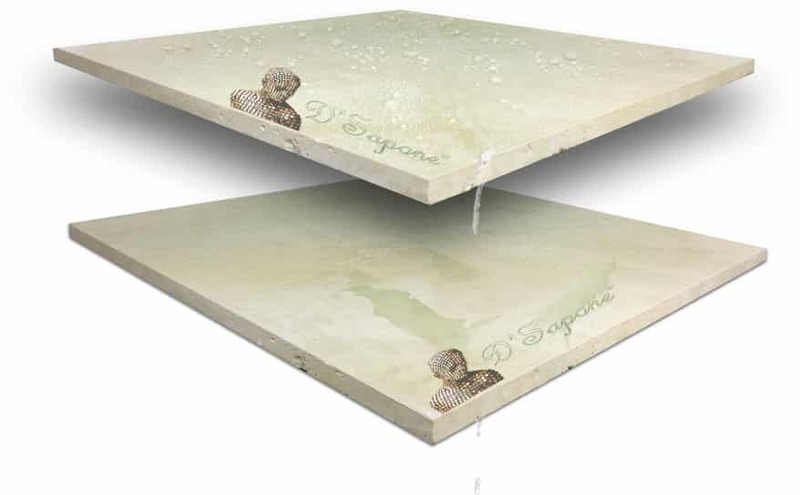 Travertine holes are nothing short of a burden on floors, countertops and in showers. Not only do we fill the holes, we make it look natural and beautiful and deliver a fresh smooth travertine surface. Cracked travertine tile looks unpleasant and if not taken care of, it will get worse. We repair the cracks using Sentura – a two part pigmented flexible solvent epoxy/resin. It blends the crack into the surface and makes it look natural. Travertine sealing is needed after it has been cleaned, else it will stain within months. We protect the stone using Repela-Bond – an invisible clear resin water based sealer, making the surface waterproof without adding a sheen. A clear topical sealer. Hydrophobic at its best. 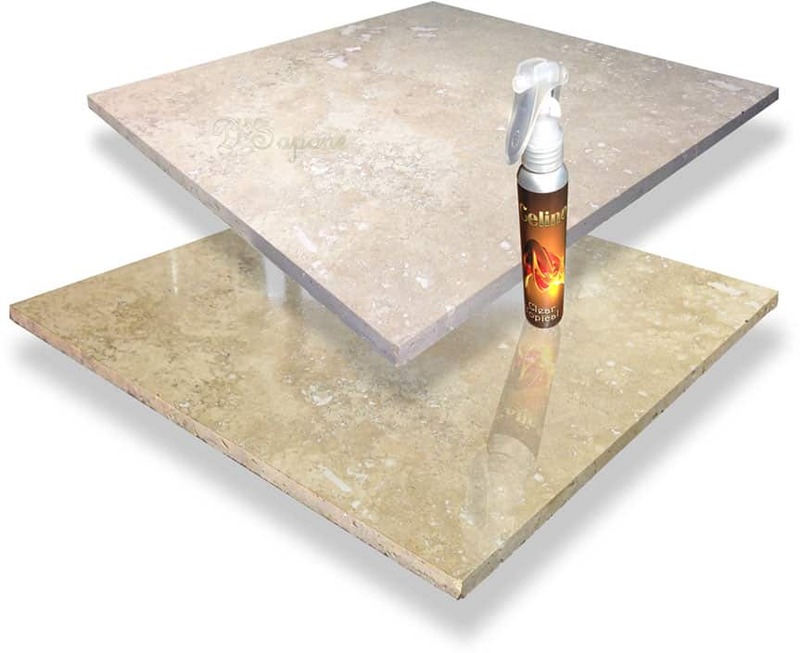 Celine is a clear topical solvent based resin sealer, coating the stone while creating a hydrophobic surface. Celine adds a refined sheen to travertine and prevents it from allowing moisture or liquids to pass through it. Experience a sanitized travertine floor, shower and countertop with no mold and no stains. 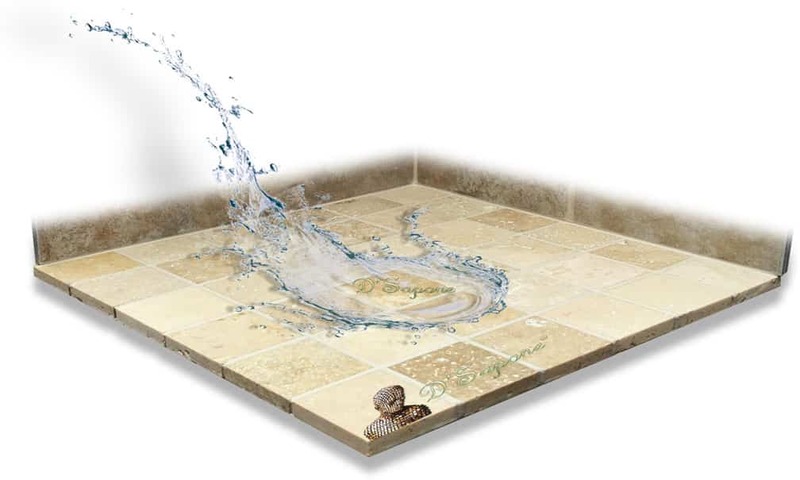 Notice in the image, the top travertine tile is sealed with Celine and is not absorbing the liquid, while the bottom tile is not sealed and is allowing the passage of the liquid. 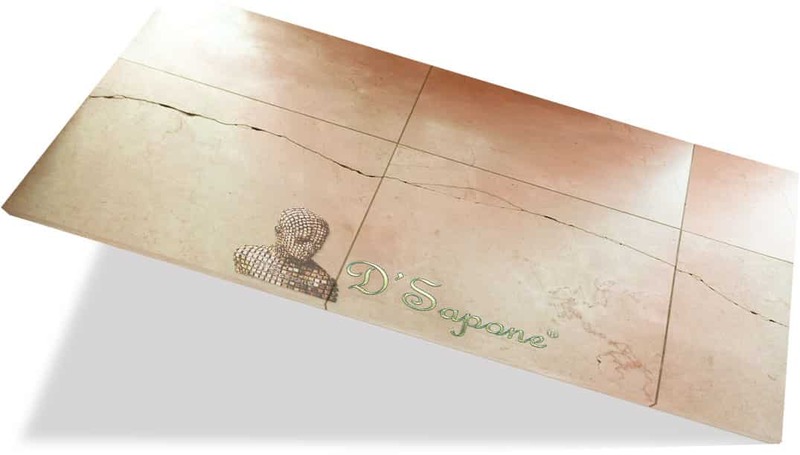 The most common issue with travertine polishing – stone etching shows up, until now. 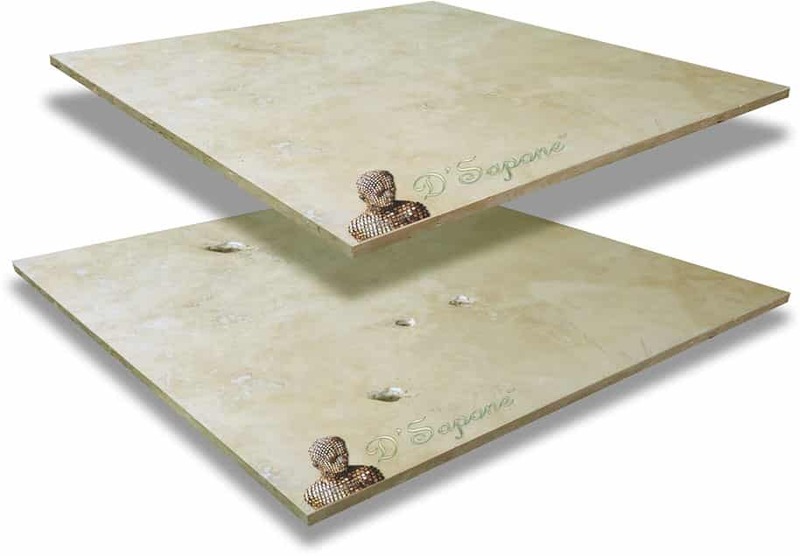 Get rid of etching issues permanently with our patented travertine polishing process. After we clean and seal travertine, we polish it with a quality product, polishing the clear resin coating and travertine at the same time to keep the sheen of the surface. 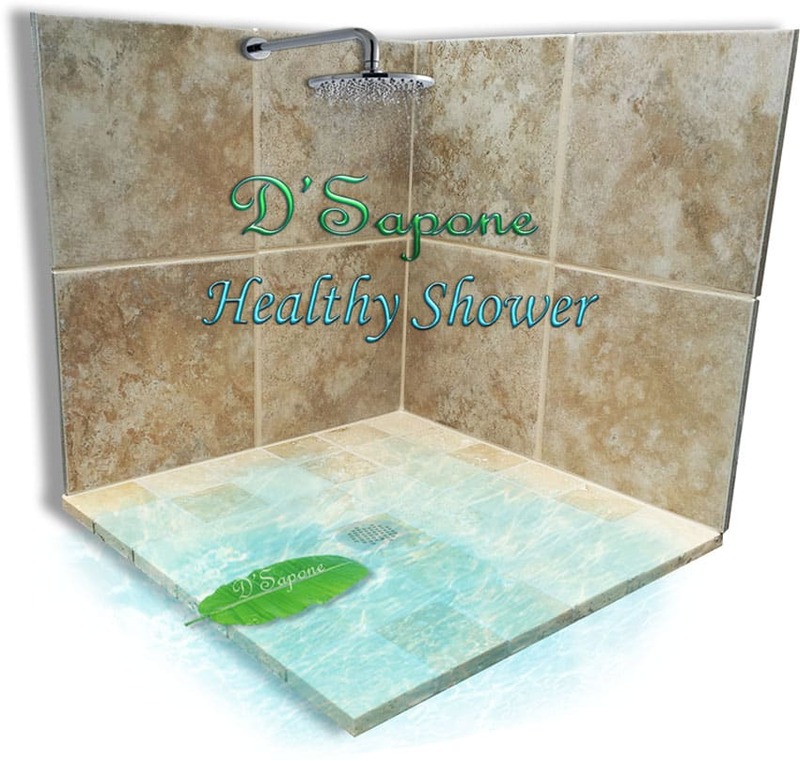 A healthy travertine shower service designed for you. Our healthy travertine shower service includes incredible processes that can take a badly stained or damaged shower to the next level. We clean the entire surface using a penetrating cleaner, replace the caulk with a flexible solvent based resin, seal the grout and stone to deliver you a waterproof shower without caulk, mold and stains. We also offer a 5 year labor warranty on our travertine restoration in Nassau. 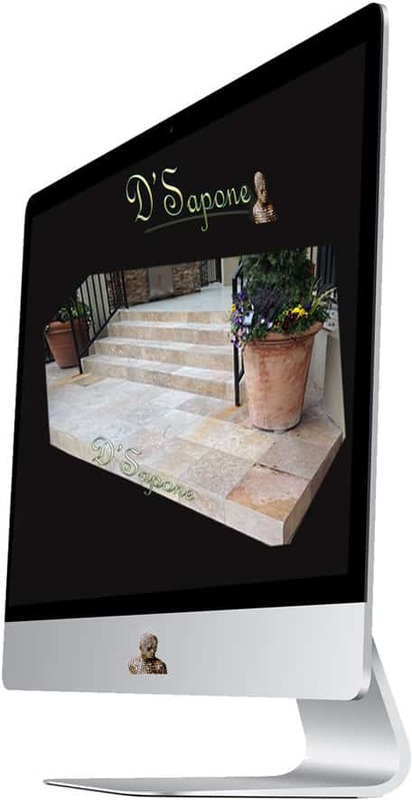 Travertine restoration in Nassau is best done by D’Sapone artists. They can make your stone stay and look new for a lifetime. Call us or send pictures and receive your free estimate today.